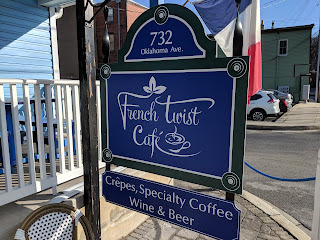 French Twist Cafe provided the perfect spot for a good breakfast, fortifying coffee, and space for morning work. 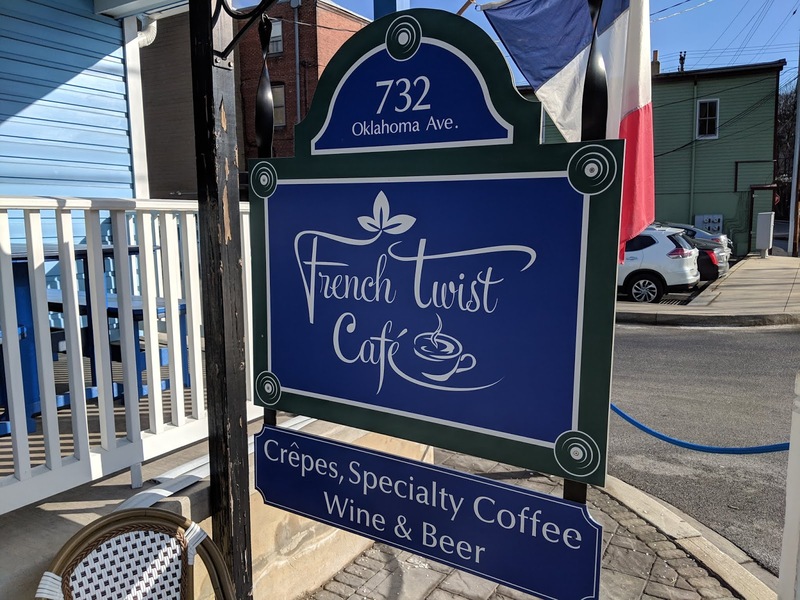 It is located in a quaint two-story house in downtown Sykesville; upstairs is the spot to go for tables. 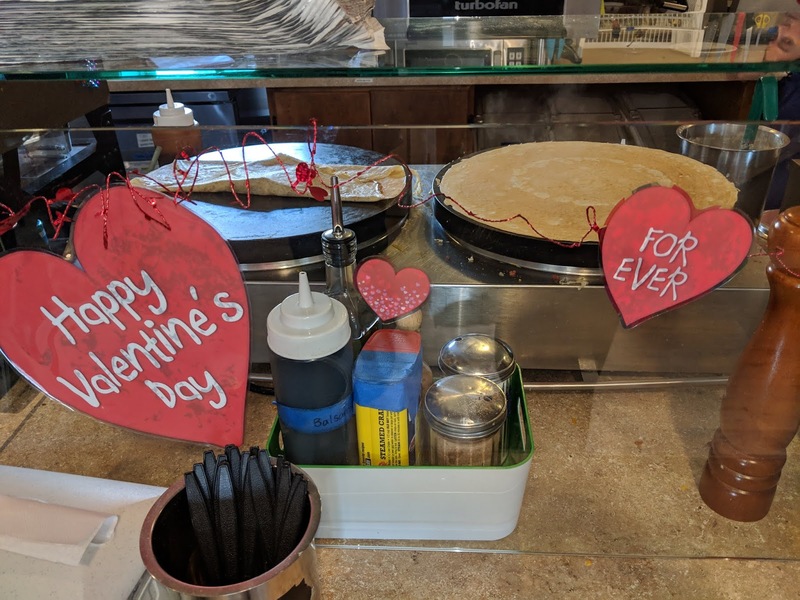 As you can see, their two-barreled crepe stand would be a proud part of many a French crepe purveyor. I ordered two crepes. 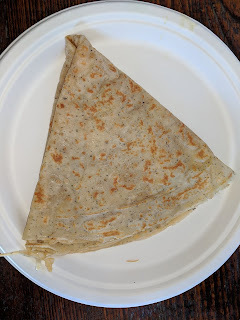 This is my savory Breton crepe with cheese, buckwheat, and a touch of black pepper. Superb! 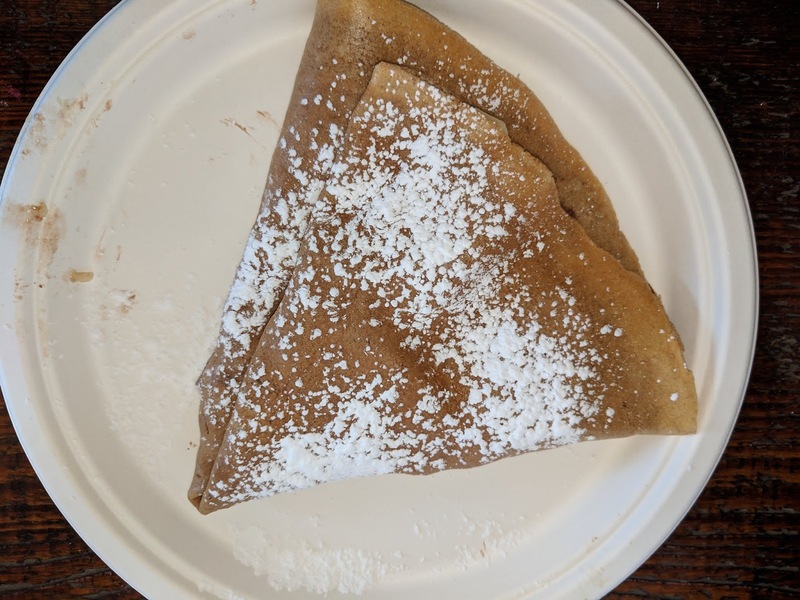 And this is my mandantory Nutella and banana crepe. Wonderfully sweet and satisfying.